Let’s get down to one of the basics you probably use every single day as a designer: fonts. To stand out from the crowd, good fonts matter big time. Yes, there are dozens of free font sites out there but they’re not always created equally. The kerning in free fonts may be off and some important characters are most likely missing from the glyphs. These days, Branch often works on upwards of five unique branding projects at any given time so I buy a ton of fonts. After all, even if you have a defined style, you want each project to stand apart on its own as much as possible. I’ve been shopping at YWFT for so long that I remember when they specialized in design books! Their font selection is solid and while they do have over 40,000 fonts, they are neatly organized with simple thumbnail previews so you can scroll through quickly. The basics are thoroughly covered but there are a lot of fun gems as well, like the retro section. If you have a bigger font budget, buying a few complete families is a great investment and Hoefler & Co. has some of the strongest options around. They’ve been around for over 25 years and take great care in everything they produce. My personal favorites (that I use on a near-daily basis!) are Archer, Gotham, Knockout and Chronicle. If your style veers more towards midcentury modern and funky, House is your place. I love them so much that I have their beautiful screen printed posters on each side of my bed! Also, do yourself a favor and sign up for their free catalog. I use a lot of House fonts in projects but my all-time favorite is Eames Century Modern. I also love that this foundry uses its best-selling fonts on home goods, too. I’ve long dreamed of having the Neutraface address tiles on a future house. This site works with dozens of international designers to produce beautiful custom fonts. They are always on the cutting edge of trends but manage to keep their selection super tight with a big focus on affordability. I have a huge crush on Kitune, Marle and Selador. If you’re working with younger, edgier brands, start here for font research. I’ll be the first to admit that Creative Market is more ideal for buying assets like textures, mockups and imagery but I do use them a lot for unique handwritten fonts because they have many talented letterers selling their goods on the site. Creative Market has some amazing font options I’ve never seen anywhere else but be careful to read the licensing fine print because it’s not as clear-cut for commercial use. Font-wise, I’m a big fan of Madina Script and Faith & Glory. 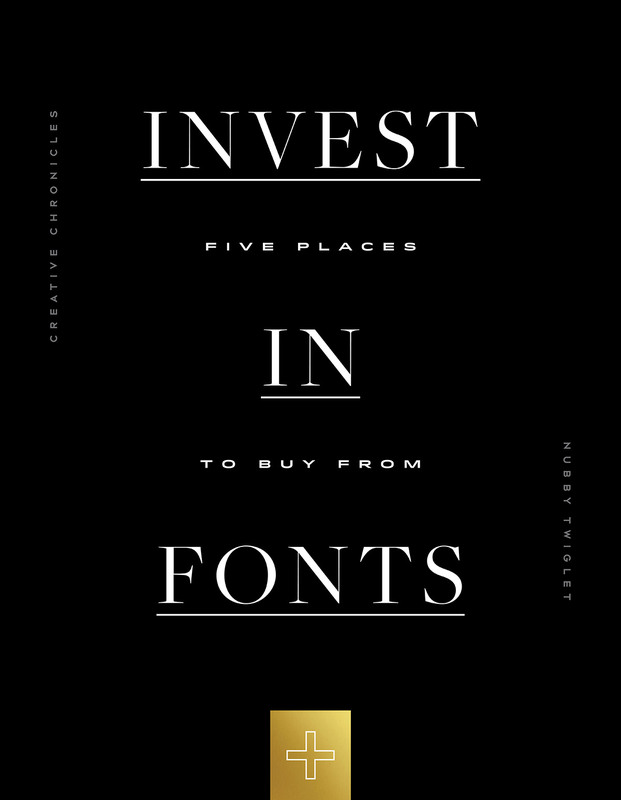 I hope these font site recommendations inspire you to invest in your personal library. And if you have recommendations of other places you swear by, please share them in the comments!